A Green And An Orange Lizard Isolated On Black Background. Royalty Free Cliparts, Vectors, And Stock Illustration. Image 11092911. 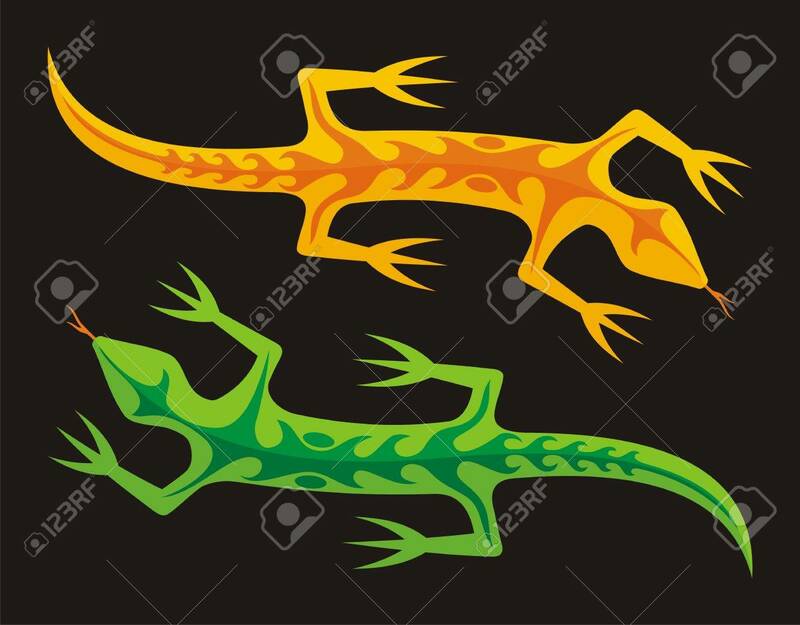 Vector - A green and an orange lizard isolated on black background.